The big freeze continued to have an impact this weekend, with no football played by any of our senior teams today. 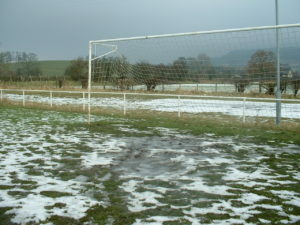 With the exception of three teams that had no scheduled fixtures, all others had their assets frozen until next weekend. For full details of what you would have missed given more favourable conditions, click here! Grass Roots Football Refs to Strike On 1st March?